Mobile security is becoming more of a headache as the crossover between business and personal activity continues to increase, and employees generally expect more freedom. Research suggests, however, that you can only push technology-based protection so far before users rebel and try to find ways around it. To manage risks effectively, you therefore need to address the human factor. A new breed of tech-savvy farmers is emerging throughout Kenya. 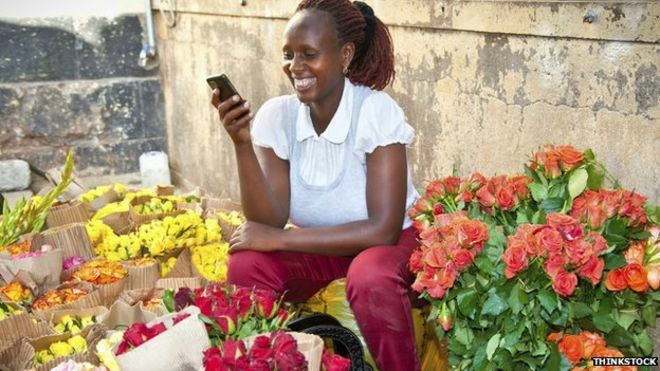 Sometimes called “telephone farmers”, they are making use of a growing number of technologies and platforms to help them choose and manage their crops more efficiently. And mobile devices are giving a growing number of them the ability to do this while continuing to live and work in the city. German carmakers BMW, Audi and Mercedes, will pay around 2.5 billion euros ($2.8 billion) to buy Nokia’s maps business, beating out high-tech rivals for location services seen as key to the future of self-driving cars. Germany’s three premium carmakers will hold equal stakes in the business, known as HERE, clubbing together to keep the assets away from Internet rivals such as Uber of Silicon Valley and China’s Baidu and Tencent. How does Facebook, the world’s most populous collection of people, bend arms in the world’s most populous democracy? On Facebook, of course. Over the weekend, Facebook users in India started to see a notification in their feed promoting Internet.org, the social network’s initiative to spread connectivity by subsidizing wireless data. “Do you want India to have free basic Internet services?” Facebook asked. Sporting giant Adidas has acquired Runtastic, a European mobile fitness startup known for its GPS fitness-tracking app of the same name, in a deal worth €220 million ($239 million). Founded out of Austria in 2009, Runtastic has built a solid reputation in the digital fitness realm over the past five years, primarily for its flagship GPS fitness tracking app, racking up millions of downloads along the way. A new survey out of Europe finds that providers there are more supportive of digital health technologies than their American counterparts. Yet they also have concerns about where the technology is going – and they’re not sure that pharma should lead the way. “The Digital Doctor Report 2015,” conducted by UK-based Ipsos Healthcare, finds that 72 percent of doctors surveyed in the UK, Germany and France have used or recommended an app, online forum or wearable technology in the past year, and that four of every five doctors see digital health tools as more than just a fad or trend. More than two-thirds (68 percent) of mobile payment users report that they are using the alternative payment methods more than last year. Shoppers are using a wider variety of payment options with digital and mobile payments serving as supplements to the traditional cash and card-based payments tools, according to a survey of more than 1,000 American consumers, which was released by Blackhawk Network. Cash, checks, cards are still the most used payment methods with select digital offerings close behind–93 percent of shoppers used cash, while 68 percent used debit cards, 68 percent used checks, 67 percent used credit cards and 62 percent used PayPal. Target, the second largest general merchandise retailer in the U.S., announced this morning that it will start testing beacon technology in 50 of its stores nationwide. With beacon technology, the company says it will be able to send information about deals as well as recommendations directly to consumers’ smartphones, provided they opt in to receive these alerts. Initially, the beacon technology will work with those users who have the latest version of theTarget iPhone app installed on their phones and have Bluetooth turned on. Smartphones are the UK’s most popular device for getting online for the first time, according to industry monitor Ofcom. The change has largely been driven by our increased appetite for video, and its availability with the expansion of high-speed 4G data networks. Over the past 12 months this has allowed many more people to watch video clips from YouTube or Vine and TV on-demand services such as BBC iPlayer and Netflix on the go. Smartphones are now responsible for a third of internet access, up from 23% in 2014. Ofcom’s 2015 Communications Data Report shows the success of the devices has been at the expense of laptop computers, the latter dropping from 40% of online connections in 2014 to 30% in 2015. 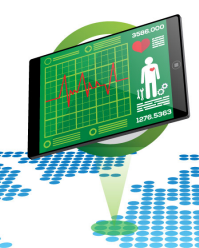 Next PostThere are more than 45,000 health apps - is data privacy being overlooked?